Back in Hellboy: Seed of Destruction we first learned about the existence of the aliens, well for the first time in the new series it will be explained who the aliens are, and what the alien assassin was doing on earth for 50 years. Mike Mignola, the original creator of Hellboy, and co-writer Chris Roberson have decided that this is the moment for all to be revealed about this early episode in Hellboy’s history. Artist Paul Grist and colorist Bill Crabtree are designing the art work for the series. 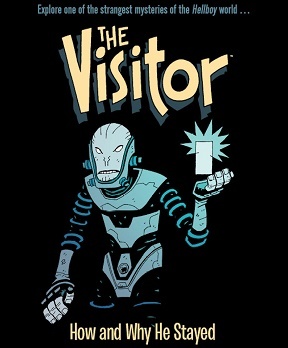 The Visitor: How and Why He Stayed is being published by Dark Horse Comics and begins on February 22, 2017.